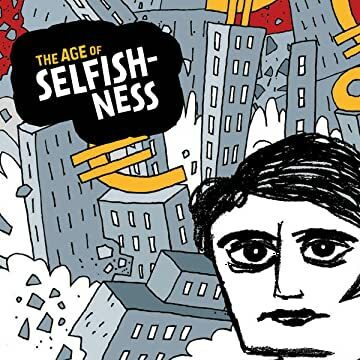 Tracing the emergence of Ayn Rand's philosophy of objectivism in the 1940s to her present-day influence, Darryl Cunningham's latest work of graphic-nonfiction investigation leads readers to the heart of the global financial crisis of 2008. Cunningham uses Rand's biography to illuminate the policies that led to the economic crash in the U.S. and in Europe, and how her philosophy continues to affect today's politics and policies, starting with her most noted disciple, economist Alan Greenspan (former chairman of the Federal Reserve). 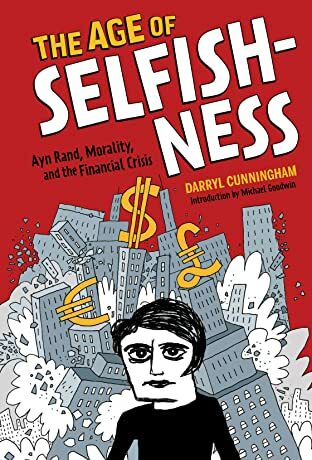 Cunningham also shows how right-wing conservatives, libertarians, and the Tea Party movement have co-opted Rand's teachings (and inherent contradictions) to promote personal gain and profit at the expense of the middle class. Tackling the complexities of economics by distilling them down to a series of concepts accessible to all age groups, Cunningham ultimately delivers a devastating analysis of our current economic world.